The Olympic contest is to help support and spread the word about lesser known athletes participating in the Olympics games. I’ve decided to participate by helping get the word out to people by creating Facebook fan pages. 1. Become a Facebook fan of Robel Teklemariam who is the lone athlete from Ethiopia participating in the Vancouver Olympics. 2. Write a message of encouragement to Robel Teklemariam either as a comment to one of the posts on facebook or on the wall. The message should be 10+ words in length (let him know you really care). 3. Write a message of encouragement to Clyde Getty either as a comment to one of the posts on facebook or on the wall. The message should be 10+ words in length (let him know you really care). 4. Write a message of encouragement to Tugba Karademir either as a comment to one of the posts on facebook or on the wall. The message should be 10+ words in length (let her know you really care). 5. Follow The Olympic Dream on twitter. You can enter once or up to five times – whatever number of the above you want to do. For each of the above you do, leave a comment letting me know which one you have completed (so you can have up to 5 comments for this post) and each comment will be an entry into the giveaway. I will have a random number generated for the comments that qualify which are left below. 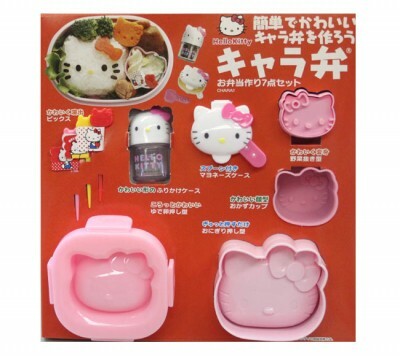 The person’s comment that matches the number will receive the Hello Kitty bento making set. The contest starts now and will end at 11:59 pm eastern (10:59 pm central, 9:59 pm mountain and 8:59 pm pacific) on Thurs January 28th. Open to anyone living anywhere in the world. Update: There were 206 entries in this contest and the random came out as #66. Congratulations to Joy for winning and thanks to all for the comments that you left. Several of the athletes have commented how much the support means to them. I became a fan of Robel Teklemariam! I became a fan of Robel Teklemariam. I left a message of encouragement on the Wall of Robel Teklemariam. Left a message of encouragement on the wall of Clyde Getty. I have become a fan of Robel Teklemariam. I have left a message on the wall of Robel Teklemariam. I also left a message of encouragement on Tugba Karademir’s wall. I’m following @TheOlympicDream on Twitter. + I Followed The Olympic Dream on twitter. I have left a message on the wall of Clyde Getty. I became a fan for Robel Teklemariam, left a comment, and was so inspired I shared his page. Reminds me so much of the dedication of the Jamaican bobsled team a while back. Such a noble cause and such a lonely one. Gessh, who will walk into the stadium with him at the ceremonies? Gutsy guy on all levels! I have left a message on the wall of Tugba Karademir’s wall. I am now following The Olympic Dream on twitter. Sent encourgement to Robel. – Much good luck to you Robel from Kentucky USA! Earning the gold is an incredible dream, keep reaching! Sent encourgement to Clyde – Keep flying high Clyde! Salutations and good luck from Kentucky USA! Posted encouragement to Tugba – What a momentous point in your life to be able to represent your country in the Olympics! Much good luck and well wishes from Kentucky USA! Following on Twitter. Posted – @theolympicdream – The ultimate dream for athletes and you’ve reached it! Congratulations! Remember that millions have your best at heart. Wrote over 30 words to Robel. Does that count 3 times? ;P Just kidding! Looks like 9 things in that kitty kit. I’d better start training with my brick and smashing arm!!! I’m following the Olympic Dream on Twitter! I’m now a Cylde Getty fan!! Another encouraging message to Clyde Getty! Another encouraging message to Tugba Karademir! Aaaaand now following the Olympic Dream! Smash that kitty stuff stronger and swifter, and throw the shattered pieces higher! I became of fan of Robel. I think it is really cool that he is from Ethiopia and is cross country skiing. It reminds me of the bobsled team from Jamaica. I left a nice comment. Clara P. Brotherton. I just realized that becoming a fan of Robel and leaving a comment were two separate items, so I became a fan. I became a fan of Robel Teklemariam (my full name is Irit Caspi). Wrote a post on Robel’s wall. Wrote a post on Clyde’s wall! Wrote a post on Tugba’s wall! Following the theolympicdream on twitter. I’m following theolympicdream on Twitter! I left an encouraging comment for Robel Teklemariam too! Errr that was Robel.. oops.. *sigh* sorry, tired is me! I wrote a message of encouragement to Robel Teklemariam. I became a fan of, and wrote a message of encouragement to Clyde Getty. I became a fan of and wrote a letter of encouragement to Tugba Karademir. I followed The Olympic Dream on Twitter. I became a fan of Robel. One of his fans has a HK picture as their avatar…hmm…mine’s my Sailor Moon fan character, lol. 2. i wrote a message of encouragement to Robel Teklemariam on his wall. 3. I wrote a message of encouragement to Clyde Getty on his wall. 4. I wrote a message of encouragement to Tugba Karademir on her wall, i was already her fan. 5. i’m Following The Olympic Dream on twitter. I commented on one of Clyde Getty’s statuses. Left a comment for Tugba on fb! I’ve commented on Tugba Karademir’s status. and left a comment for Clyde Getty! i am a fan of Robel Teklemariam,Clyde Getty,Tugba Karademir and wrote a comment 10+ on everyone of their facebooks. and i am following The Olympic Dream on twitter. i’ve become a Facebook fan of Robel Teklemariam. I’m a facebook fan of Robel’s. Both pages! I follow the Olympic Dream on twitter! 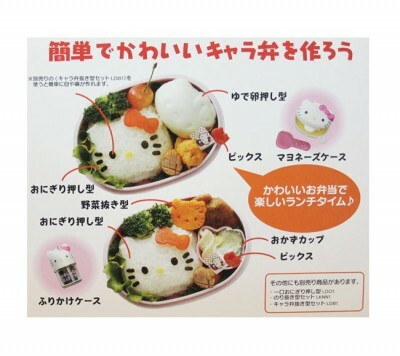 I left a comment for Clyde Getty and must have this bento making kit! I left a comment for Robel Teklemariam and must have this bento making kit! I left a comment for Tugba Karademir and must have this bento making kit. PLEASE! i’ve written a message of encouragement to Robel Teklemariam on his Facebook wall. I’ve written a message of encouragement to Clyde Getty on his Facebook wall. I’ve written a message of encouragement to Tugba Karademir on her Facebook wall. i am now following “The Olympic Dream” on Twitter. Left a message for Robel! Wrote a wonderful message to Clyde Getty! added olympic dream team on twitter!! I’m a fan of Robel. And oops, I meant, DON’T go to Aberdeen Mall and definitely DON’T got to Metrotown Mall when you come for the Vancouver Games. i’m a fan of Robel. I think its best to avoid Richmond alltogether. Chinatown is prolly a place to stay away from. And Crystal Mall. good luck. Great, I am now a fan of Robel on Facebook! I became a fan of Robel! I also left a message of encouragement for Robel. P.S. I know this is a giveaway, but what an awesome way to bring our attention to some hardworking lesser known athletes. I wrote a message of encouragment to Clyde Getty and became a fan of his page! I wrote a message of encouragement to Robel. I’m following The Olympic Dream on twitter. I’m following you on twitter and RT it! and became a fan on FB! I posted on Clyde’s wall! I left a message for tugba! I’m following theolympicdream on Twitter. I just became a Facebook fan of Robel Teklemariam . I completed all 5 – I wrote on the 4 Olympians’ walls and followed the Olympic Dream on twitter. What a great way to put together a giveaway! I did em all cuz all these people are really going for it!!!!! I left a message for Robel Teklemariam . I Became a Facebook fan of Robel Teklemariam! I wrote on Robel Teklemariam’s wall! I wrote on Clyde Getty’s Wall! I wrote on Tugba Karademir’s wall! The Contest Is Offically Over — any comments after this post will not be included. I also became a fan of Robel Teklemariam. C’mon, who won? My smashing fingers are getting itchy. woo hoo! I can’t wait to use it! My boyfriend said there’s no chance I would win (maybe it was wishful thinking). 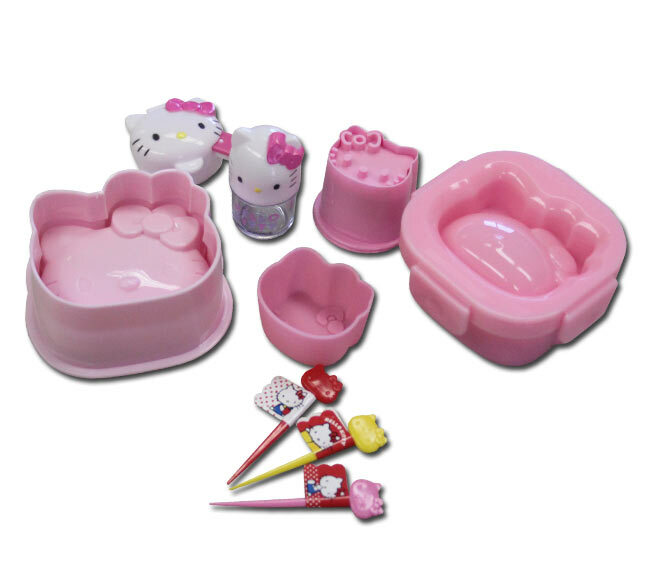 Now he will have to take a Hello Kitty lunch to work for the rest of the year!!! I like Hellow Kitty because I like Japan but I think the West goes to crazy about it. It great to see something on here that’s Hello Kitty themed and Japanese. I became a fan of all the above :).